“Days of Our Lives” spoilers for Wednesday, February 6, tease that Abigail Deveraux (Kate Mansi) will be confused by Jordan Ridgeway’s (Chrishell Hartley) visit. It’s awfully late in Salem, so Abigail will naturally be concerned. She’ll wonder if everything’s all right, but Jordan may suggest that it isn’t – at least not for Ciara Brady (Victoria Konefal) and anyone else Ben Weston (Robert Scott Wilson) might go after. There’s a good chance Jordan will bring up Ciara’s disappearance and blame Ben for it. She’ll want Abigail to see that Ben still poses a threat. Jordan should be encouraged by Abigail’s response. Unlike Ciara, Abby wasn’t as quick to buy that Ben has changed. She can’t rule out that Ben is capable of it, but “Days” fans know she certainly doesn’t trust him. Abigail will admit she was pretty shaken up after her last encounter with Ben. She’ll talk about all the fear that came rushing back. Abigail will just want to be sure her kids are kept safe. She’s got too many painful memories, so she doesn’t want to make more. “Days of Our Lives” spoilers say Jordan will be glad they’re on the same page. Of course, they won’t be exactly. Jordan will be willing to go much further to protect Abigail’s baby. She’ll kidnap Charlotte DiMera and leave Abigail in a panic later this week. Other DOOL spoilers state that Leo Starke (Greg Rikaart) will be in panic mode as well. That’s because he’s got a dark secret that’s just waiting to explode. Diana Cooper (Judith Chapman) knows the truth about the death of Leo’s dad. It’s at least partially Leo’s fault, so he’ll worry that his past could come back to haunt him. Leo’s fate is in Diana’s hands! 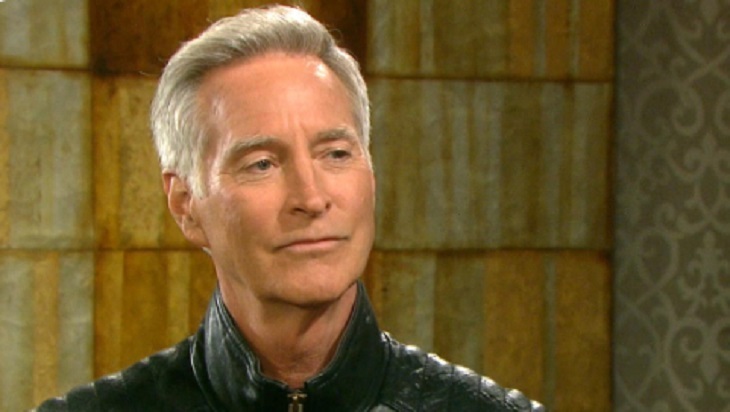 Over with John Black (Drake Hogestyn), he’ll do the math and determine that he might be Leo’s biological father. “Days of Our Lives” spoilers say John will have a chat with Roman Brady (Josh Taylor) and explain his theory. He’ll hope someone else is responsible for Leo’s existence, but he’s been down the long-lost son route before with Paul Narita (Christopher Sean). John understands that anything is possible in Salem, so he’ll continue to fret. “Days” spoilers say some great drama’s ahead on the NBC soap. We’ll give you updates as other news and rumors emerge. Stick with DOOL and don’t forget to check Soap Opera Spy often for the latest “Days of Our Lives” spoilers, rumors, updates and news.